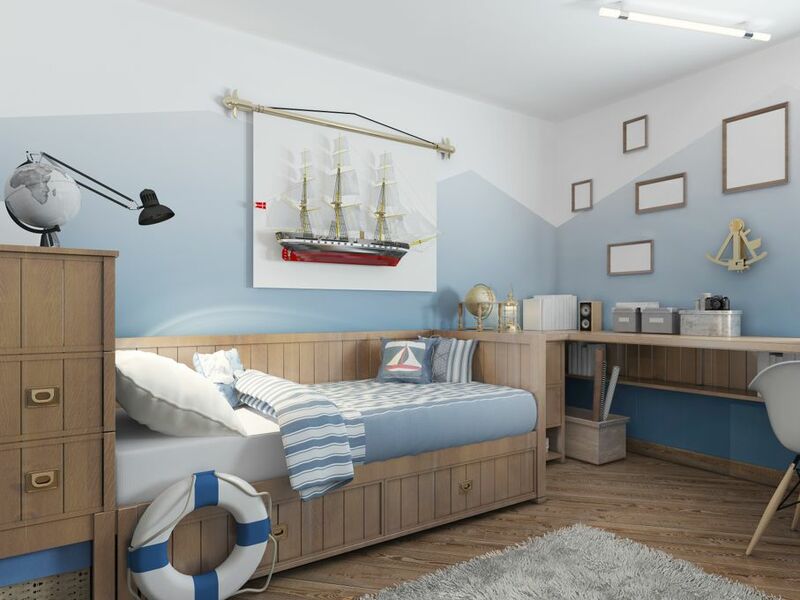 Choosing a theme for a child's bedroom doesn't have to be difficult. As long as they inspire, the possibilities are endless. Take a look at just a few of the fun and playful ideas. 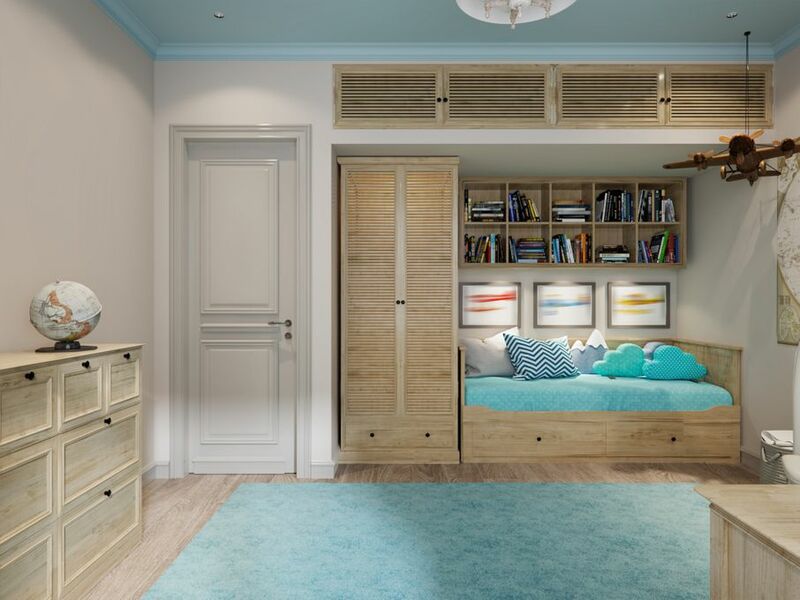 A child’s room is a key element in their lives as they grow. 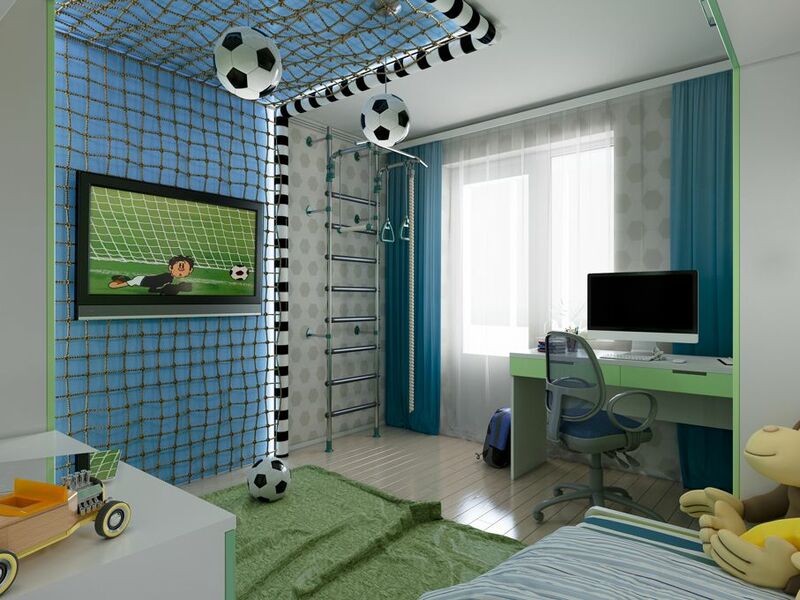 Their room can inspire them and give them the ability to dream. 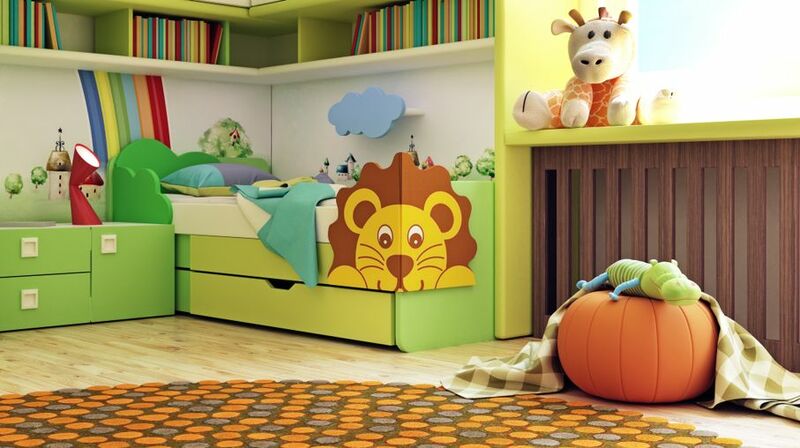 It's easy to go overboard with your first child and bombard their rooms with decoration or toys. But this may be overwhelming. The idea is not to fill up the room with goodies, but to inspire your children and encourage them to use their imagination. 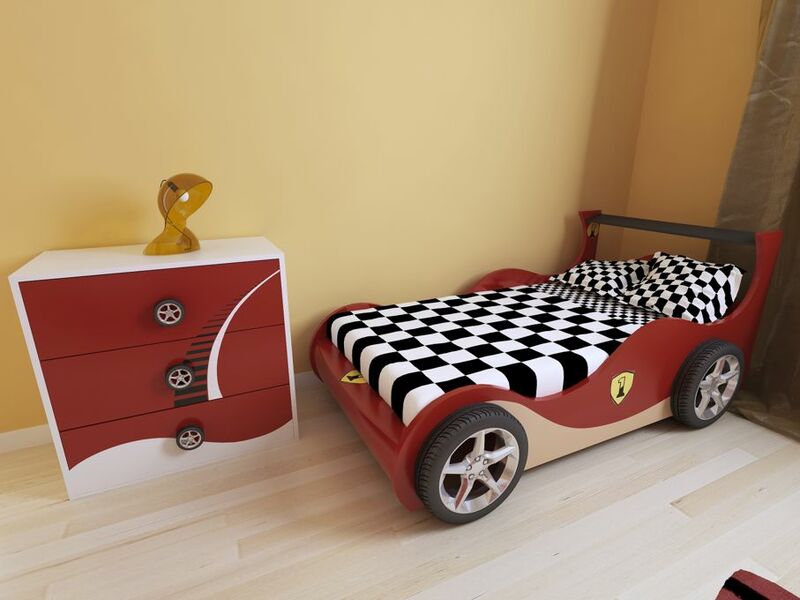 Here are a few fun and creative theme ideas for your child's room. Sports are a fun and exciting theme full of endless design options. 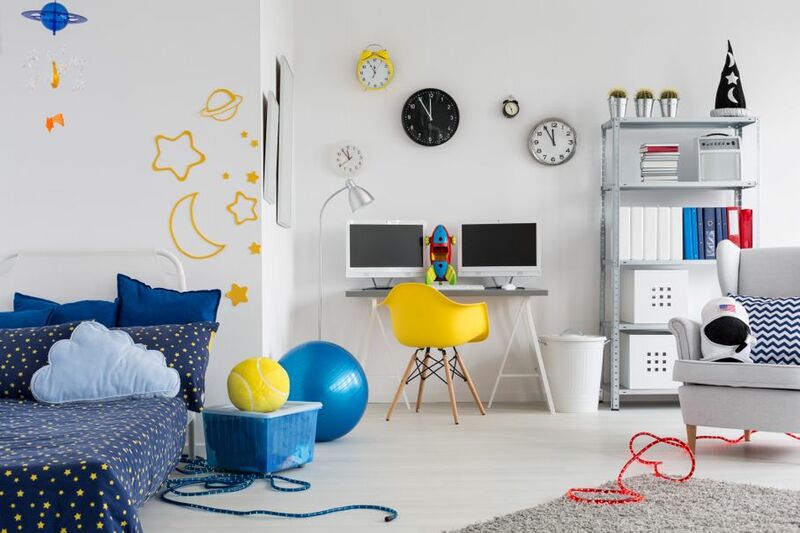 A baseball clock, a basketball hoop on the door, or a bed disguised as a racecar are a few ways to decorate your child's room with the intention of decoration and practicality. Maybe your child has a favorite sport's team or player that they look up to. The colors and logos from these teams can be the inspiration for your color scheme. Texture is another great tool when designing a sports-themed room. A soccer field rug or basketball court mat is a fun added touch and incorporates the floor more fully into your design. An inspiring way to ensure your child grows up in developmental space is to design the room with a focus on books. Bookshelves on all four walls accompanied by a complimentary theme of their favorite book will create an imaginative fictional land. Instead of painting characters on the walls, use the bookshelves to display figurines or stuffed animals. As the child grows older, these favorites will change, and a display allows the room to grow along with the child. Chairs and tables that can spell words are also a great way to engage the child’s imagination, especially while they are younger and their brains are developing. Comic books are a common theme for a child’s room. 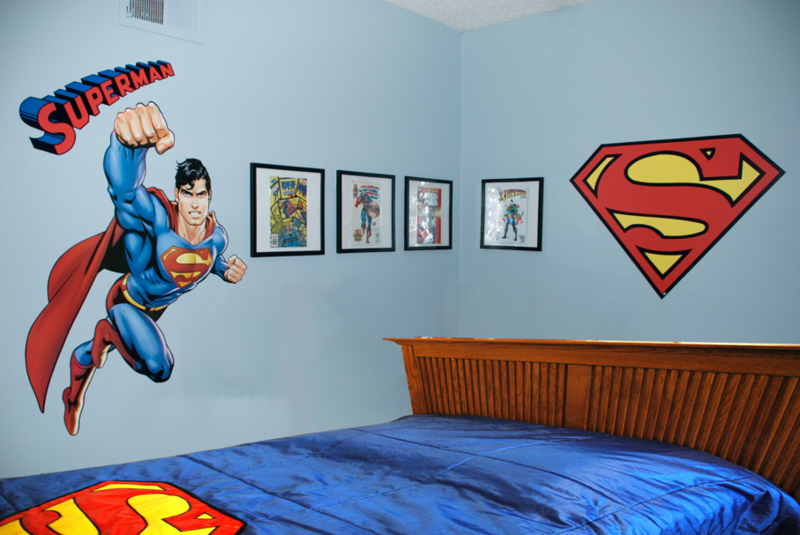 Comic book characters are so colorful and dynamic that it becomes easy to incorporate heroes into a bedroom design. This theme is one that can last for years because many superheroes are geared toward adults as well as children. Try creating a desk with hidden compartments like Batman might have. A bed can become the hero’s vehicle or add a canopy to create a cozy "Fortress of Solitude." Coordinating curtains can be decorated as superhero capes, giving the room a heroic touch. A travel theme can inspire your child to explore different places and to have an open mind. With so many countries to get ideas from, the design possibilities in a travel-themed room are vast. Paint a wall to reflect a map of the world with travel destinations marked. Shop at different thrift stores to find unique furniture pieces or specialty items to decorate the walls and shelves. Find wooden shoes from Holland or a paper lantern from China. One of the best things about this theme is it can be truly individual and customized. Find pieces that inspire bot you and your child. Explore the vastness of the universe and design a space-themed room for your child. Paint the room in dark colors and use glow paint to add a surprise sparkle for the evening. Fairy lights add a more defined shine to the room, and are great if the child isn’t quite adjusted to sleeping alone in the dark. The bed be transformed into a space shuttle and the desk as a command post on Mars. A safari room lets you use those stuffed animals your child loves in your design. Shelves can make great branches to hang all sorts of animals, and if the child is older, you can incorporate some hanging plants. Give the room a rustic vibe by crafting the bed into a tent. If you want a more natural feel, try recreating the room to feel like an outdoor canopy, with green rugs beneath and birds hanging from the ceiling. There are a number of children’s room themes that are fun and easy to create. Living in an exciting environment is a great way to inspire the mind. These ideas can give you the start you need to help your child craft a creative space of their own.